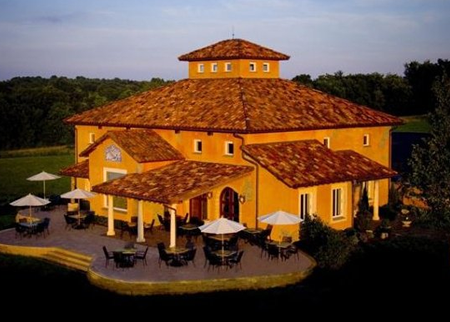 The Got Spot | 53% OFF Overnight Stays at Beautiful Blue Sky Vineyards in Southern Illinois. Pay just $132 for a romantic suite stay plus bottle of wine, cellar tour & breakfast (regularly $280) at Blue Sky Vineyard in Makanda, IL. Good for over night stay in Tuscany Romance Suite, Breakfast, Bottle of Wine, VIP tour of Wine Cellar, tasting given by wine maker and 10% off coupon to use for purchases during your stay. Enjoy a beautiful, romantic couples getaway for Valentine’s Day at Blue Sky Vineyards in Southern Illinois. 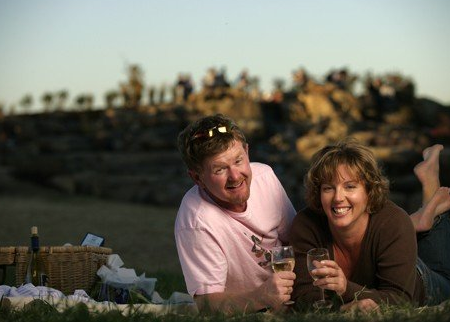 Package includes overnight stay, bottle of wine, cellar tour, discount coupon and breakfast for 2. A perfect and unique romantic gift. Anchoring the eastern end of the Shawnee Hills Wine Trail, the winery offers you “The Romance of Italy in the Hills of Southern Illinois”. They are open year-round, 7 days a week, to provide great Illinois wine. Please join them for wine tasting, a variety of hearty sandwiches, pizzas, and snacks, as well as wine-alternatives such as beer and non-alcoholic beverages. Come enjoy a large indoor seating area and two beautiful outdoor terraces that overlook the vineyard and the rolling countryside.